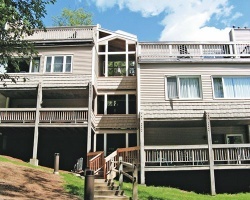 The beauty and tranquility of the *Mountainside Resort at Stowe* is second to none. With its many vistas, the Stowe area is considered one of the country's top vacation spots. The village of Stowe is home to Mt. Mansfield, Vermont's highest peak. Just 4 miles from the resort is 39 miles of trails for skiers of all levels. 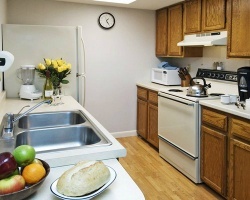 The resort features swimming, sauna, Jacuzzi, lighted tennis courts for day and evening use. For mountain biking, there are over 20 trails in the area. Willing to Negotiate. Come to Vermont during week 30 every year! Buyer May Receive A Title Fee Credit, Inquire For Details. Motivated seller, price negotiable! Prime time Skiing! Plenty of onsite activities available for all ages! Come to beautiful New England and enjoy the nature in the area! Week 49 usage! Buyer may receive a title fee credit, inquire for details! 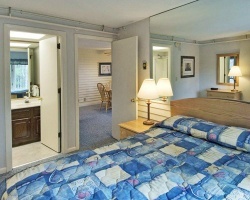 Get away from it all and enjoy peaceful vacations at this lovely New England resort! Buyer may receive a title fee credit, inquire for details! Peaceful and beautiful location is perfect for relaxing! Plenty of onsite activities available for all ages! Week 13! Inquire for details!